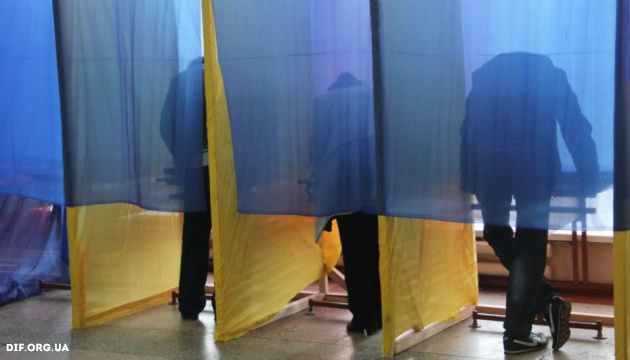 The first round of the presidential elections in Ukraine will take place on Sunday, March 31. It is still a question mark who will make it into the second round. Which candidate out of the three leaders indicated by the polls will be actually left out – comedian Volodymyr Zelenskyi, actual President Petro Poroshenko or the “Batkivshyna” party leader Yulia Tymoshenko, what circumstances may get favorable, these are the questions researched by Andriy Sukharyna, political analyst at the Ilko Kucheriv Democratic Initiatives Foundation. UCMC presents an abridged translated version of the article. In December 2018 Yulia Tymoshenko was considered to be the undisputed leader of the presidential race or at least a candidate that was to definitely enter the second round of the elections. A large-scale survey held by the Rating group between November 16 and December 10, 2018 that had 40,000 respondents, showed Tymoshenko as the absolute leader of the race, being seven per cent ahead of its closest competitors. The situation changed after the showman Volodymyr Zelenskyi officially stated that he was running for president. In January 2019 Zelenskyi managed to cement his leading position in the race, getting the support of quite a number of young voters and protest voters. A few days ahead of the elections it looks like the chances of the “Batkivshyna” party leader of making it into the second round have drastically decreased. Both results of the opinion polls and actions of Tymoshenko’s campaign team confirm that. At the same time it would not be quite right to say that her main opponent – Petro Poroshenko, has secured his way to the second round either. We’re taking a closer look at how Tymoshenko’s chances to make it into the second round have been changing. In the joint public opinion poll held by three survey companies – Kyiv International Institute of Sociology (KMIS), Razumkov Center and Rating group, between March 5 and 14, 2019, Yulia Tymoshenko’s results came close to those of the actual President Petro Poroshenko. Among those interviewed who made up their mind and said they intended voting, she was getting 16,6 per cent, while Poroshenko was getting 16,4 per cent. The difference between the two candidates lies within the margin of error and thus it would be true to say that as of March 14 the above candidates had equal chances to enter the second round of elections. Later the situation changed. The survey held by KMIS between March 14 and 22 recorded a five per cent advance of Poroshenko compared to Tymoshenko’s position. A similar trend became evident in the survey by the Razumkov Center held between March 21 and 26 that showed a considerable gap between the rankings of Poroshenko and Tymoshenko. The joint opinion poll held by the Ilko Kucheriv Democratic Initiatives Foundation and KMIS between March 18 and 27, reconfirmed the gap between the candidates that exceeded five per cent. As is clear, despite some differences in Zelenskyi’s ranking as quoted by different opinion polls (and while the data by KMIS, the Ilko Kucheriv Democratic Initiatives Foundation and the Razumkov Center are within the margin of error), Tymoshenko’s ranking is more or less the same across all the surveys. They are also illustrative of the fact that Yulia Tymoshenko’s chances to enter the second round of elections have considerably decreased. The odd man out: Poroshenko? Let’s take a look at other opinion polls showing Tymoshenko’s bigger chances to get to the second round. According to the survey by Rating group held between March 22 and 27, the leader of the presidential race is Zelenskyi with 26,6 per cent of support by voters that intend voting and have made up their mind. The second place is shared by Poroshenko and Tymoshenko, each getting 17 per cent of votes. It’s also worth mentioning the opinion poll jointly held by the Oleksandr Yaremenko Ukrainian Institute for Social Research and the “Social Monitoring” Center. Among those who will vote and have chosen their candidate, 29,1 per cent support Zelenskyi. Yulia Tymoshenko gets 16 per cent of votes and Petro Poroshenko – 15,3 per cent. The above results are within the margin of error compared to other surveys, particularly to the one by KMIS. Nevertheless, out of the five surveys three show that Poroshenko has more chances of making it into the second round compared to Tymoshenko, the remaining two surveys give almost equal chances to both candidates. Wrapping up, it is still unpredictable who the two candidates making it into the second round of the presidential elections will be. Volodymyr Zelenskyi’s chances are presented as higher while the actual result largely depends on the voter turnout, youngsters in the first place. If many of his voters don’t come to polling stations, he will not be in the leading position. The actual President seems to have more chances when compared to Tymoshenko, while there is no certainty in that either. The election results will largely depend on the voter turnout and on whether the candidates will be able to mobilize their electorate. There is also a huge share of voters worth paying attention to – those who intend voting but have not chosen their candidate yet. The joint survey by the Ilko Kucheriv Democratic Foundation and KMIS completed a week before the election day, shows there’s almost 30 per cent of such voters. What their choice will be and whether they will come to vote at all are open questions. Knowing how quickly public opinion is changing, one should not rule out that the course of the events may change radically over the last moments preceding the election day.